TVS Wego is a popular scooter in the Indian market and it has received the mandatory engine update to comply with BS IV emission norms. The new scooter comes priced at Rs. 50,434 (ex-showroom, New Delhi) and it is available in two different colours – Metallic Orange and T-Grey. Apart from the new engine and dual colour option, the scooter comes with several additional features as well. The 2017 TVS Wego scooter comes retaining the basic design but newly introduced features include a dual-tone seat, silver oak panels, USB charging port, etc. Donning the new colour, the Wego looks very attractive indeed. 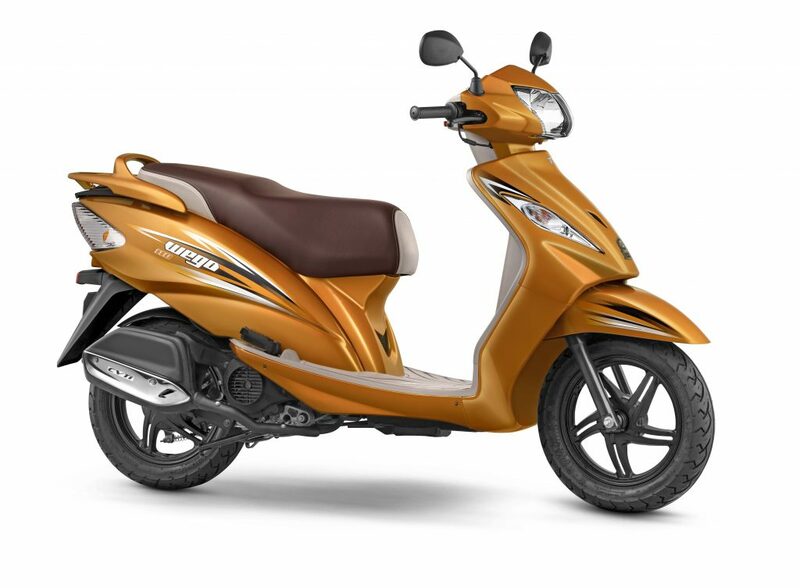 According to JD Power Quality Survey, the scooter has cemented the top spot for two years in a row in the domestic market. Now with this refreshed appearance, it will surely grab more attention. The TVS Wego scooter comes with a large headlamp, while the sharp looking turn lights are positioned at the front cowl giving the scooter sporty stance. The analog-digital combo display at the instrument cluster enhances the premium appeal. It offers generous leg room for the rider, and the improved seat quality substitutes to more comfort. The grab rail and wide seat deliver added comfort for the pillion rider too. The sharp and wide taillight, and chrome plating on the exhaust accentuate the styling further. The underseat storage offers ample room and with the USB charger you can charge your mobile phone at any place anytime. 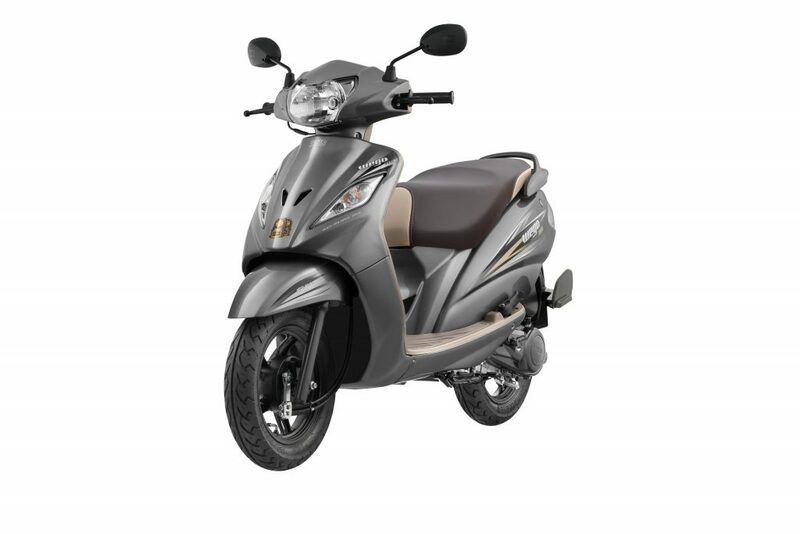 Power source is just the same as the 2017 iteration of the Wego scooter gets a 109.7 cc single-cylinder, air-cooled CVTi engine mated to a V-matic transmission. This engine is well capable of churning out 8 bhp of peak power at 7,500 rpm and 8 Nm of peak torque at 5,500 rpm.